The reason you have a Tire Pressure Monitoring System (TPMS) is so that you will be alerted when your tire pressure becomes too low and might cause driving conditions that aren’t safe. If the TPMS light is on, it means that at least one of your tires is not at the correct pressure, and this can lead to the tire being unnecessarily worn or even to the failure of the tire. It is essential that you understand how important it is to keep your tires properly inflated, and how the TPMS in your vehicle can assist you with this. When it comes to how your vehicle handles, maintaining the correct inflation for your tires is critical. This is also important for the overall performance of the tires, and for the capability for carrying loads. A tire that is inflated to the correct pressure will reduce movement of the tread, reduce any resistance to rolling, and increase the dispersion of water over the surface of the tire. When the tread movement is reduced, it means that the tire can have a longer life. Reducing the resistance to rolling means that it takes less force to roll that tire when there is a load on it, and this can give you more fuel efficiency. An increase in the dispersion of water means that there is less of a possibility that you could hydroplane when driving in wet conditions. Both underinflation and over inflation can lead to things like treadwear that is premature and even the possibility of the tire failing. A tire that is overinflated can mean a decrease in traction, wear that is premature, and a loss of the ability to absorb impacts from the road. The premature wear will be in the middle of the tire’s tread. Alternatively, a tire that isn’t inflated enough can lead to a sluggish response time for the tires, a decrease in fuel efficiency, an excessive build up of hear, and the possibility of the tire being overloaded. Premature wear on a tire that doesn’t have enough air in it will be on the outside shoulders of the tread. A tire with low pressure as little as 6 PSI under the specification, can even lead to the tire overheating and possible blowouts. 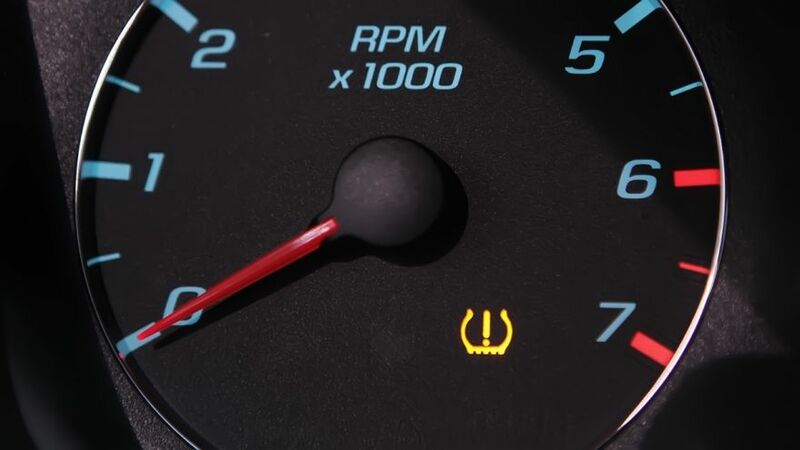 The warning light of the TPMS will alert you when the pressure in your tire(s) is too low. There are a variety of patterns of illumination, and each one means something different, so it is important that you know what each one means. If this is your first experience with a TPMS, finding the indicator light on your dash is quite easy. It will look like a sort of horseshoe with an exclamation point in the middle of it. safety component before the NHTSA (National Highway Traffic Safety Administration, mandated direct – TPMS on every single passenger vehicle during the mid – 200s. The first thing that must be understood about this system is that it is never to be considered a replacement for the routine maintenance of the tires on your vehicle. However, it is a great thing to use as a sort of supplemental warning system that you need to take seriously. While there are limitations to these systems, the TPMS warning light can indicate that you have a significant problem with one or more of your tires. For a decade now, 100% of vehicle’s that have been sold as new have been equipped with a TPMS system. Before that time, the vehicles that were equipped with it varied depending on the manufacturer. There are actually two types of TPMS systems. One is indirect, and the other is direct. Each one of these has been designed to give drivers an alert when the pressure in one or more of the tires reach a pressure that can be dangerously low. When it comes to older vehicles, the indirect type of TPMS doesn’t directly keep track of the pressure in the tire. Instead, it uses the rotation speed of the tire in order to compare the tires to each other. This is possible because the speed of tire rotation is related directly to the circumference of a tire. This circumference is then related directly to the radius of the tire, which is related directly to the pressure in the tire. In layman’s terms, the lower the pressure is in a tire, the smaller the tire will be, which means that it will spin faster. By comparing the speed of the rotation by using WSS (wheel speed sensors), the indirect type of TPMS can calculate that the pressure is low in one or more tires. For some of the older vehicles and every passenger vehicle made after 2008, the direct type of TPMS is more dependable. This is because it takes actual pressure readings from each one of the tires. You can also get direct TPMS kits aftermarket for nearly any vehicle that is drivable. The TPMS sensors are typically part of the valve in the tire. Some of them are banded right to the middle of the wheel though. Either way, the directly measure the pressure in the tires and then use radio waves to transmit the findings to the TPMS indicator on your dash. What if the TPMS Light Flashes? How can you tell when the TPMS light is on because of a real problem or maybe because of a malfunction? The easy answer is to get out and check the pressure in your tires any time this light comes on. Period. When you notice that the TPMS warning light turns on, flashes a few times, and then turns back off, there might possibly be an error in the system. If the light turns on and doesn’t go back off, it means that at least one of your tires has a dangerously low pressure reading. The air loss that is detected by the system might be due to a slow leak that has finally reached a dangerous point, or it might even mean that the tire has suddenly (or will suddenly) failed. It is important to keep in mind that design and manufacturing defects can also cause a tire to fail at any time. In some vehicles, the TPMS system will communicate this information to a driver via a warning light, while other types might even include a pressure reading that will show in the information display or cluster. As far as the light flashing goes, there are a few reasons for this or for it to deliver other types of messages to your vehicle’s information display. Low tire pressure – might cause the light for the TPMS system to flash. If you see this, you need to pull off the road as soon as safely possible and check the pressure readings on your tires. You should keep a pressure gauge in your vehicle at all times for situations such as this. 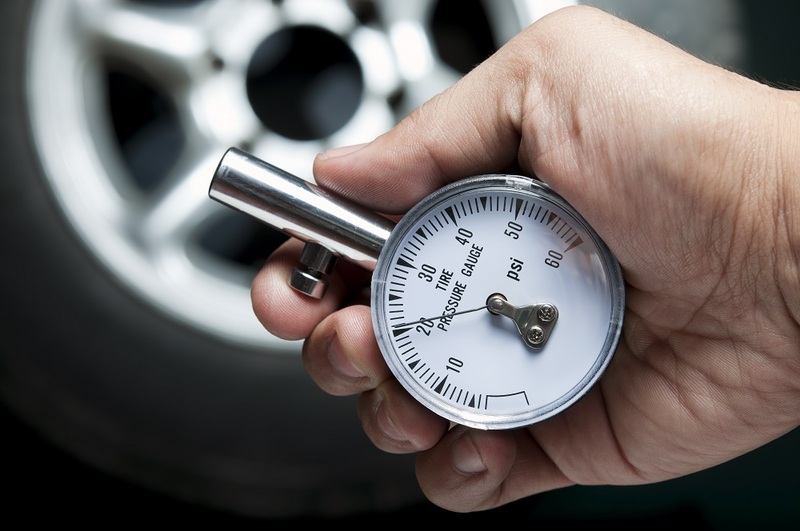 Use the gauge to ensure that each of the tires is inflated to the specifications listed on the tire. You might also want to keep a small inflator in the vehicle so that you can correct this issue. If you don’t have one and this happens, you might want to change the underinflated tire out for the spare until you can get to a gas station where you can correct the pressure. You can also get the tire repair at a tire repair shop. A faulty TPMS system – might be another reason for the light to be flashing, but the cause for this might not be readily obvious. On the direct type of TPMS systems, this can indicate a sensor battery being dead, a sensor being faulty, or even a faulty TPMS module. Any time you see the light come on though, you should check your tires to ensure that they are properly inflated. If they are, head straight to a tire shop that can diagnose the TPMS system. A failure to initialize is more likely when it comes to the older vehicles that have an indirect TPMS system. However, that doesn’t rule it out when it comes to direct TPMS systems. Any time the pressure in the tires is adjusted, or one or more wheels is taken off the vehicle, the TPMS might falsely indicate that there is an issue with the pressure of the tires when there isn’t one. 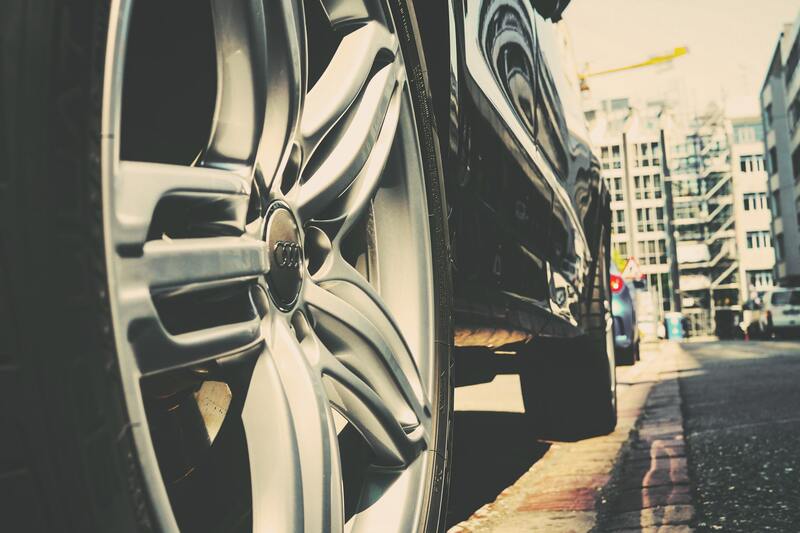 Check the tire pressure and adjust if necessary to ensure that there aren’t any real problems. Once you have done that, you can do the initialization procedure. This procedure is typically outlined in the owner’s manual of the vehicle. When the TPMS light comes on, you should always proceed with caution. This light means that one, two, or even all of your tires might be a minimum of 25% less than the recommended PSI. Immediately find a safe place where you can pull off the road so that you can safely stop and check the pressure of your tires. If the light comes on while you are driving at highway speeds, you need to immediately get a firm grip on the steering wheel with both hands so that if you are getting ready to have a blowout, you will be better prepared to handle the vehicle. Once you have a good grip on the steering wheel, slow down and get off the road. Once you have made sure that you aren’t having a blowout, use your tire pressure gauge to check each tire’s pressure and make sure that it matches the specifications. If you aren’t easily capable of doing this on your own, slowly and carefully make your way to the nearest tire repair shop so that you can have a professional check it for you. Either fill your tires to the specified PSI or have someone do it for you. You can do this at many gas stations or at a tire repair shop. If you notice that any of your tires have been damaged, have it repaired or replaced as soon as possible. The same holds true with the TPMS system itself. Once the tires have been inflated to the proper PSI, the TPMS light should turn itself off within a few minutes. A TPMS light should NEVER take the place of performing regular checks on your tire pressure. Understanding what the TPMS light actually means and what to do when you see it light up is an essential component of the responsibilities of a driver. That said, it should not be used as a stand in for regular pressure checks. That means that even with a TPMS system, manually checking the tire pressure with a gauge is critical to caring for both your vehicle and the tires. It is especially important when it comes to your personal safety as well as the safety of anyone else on the road or in the vehicle with you. You should check your tire pressure at least on a monthly basis and anytime you are getting ready to carry a heavy load or go on a long trip. nhtsa | Tire Safety. Everything Rides on it. yourmechanic | Is It Safe to Drive with the TPMS Light on? youtube | What Does a Flashing Tire Pressure Light Mean?